This is the best place to start treating Dyslexia. Everything you will need in a downloadbale form. 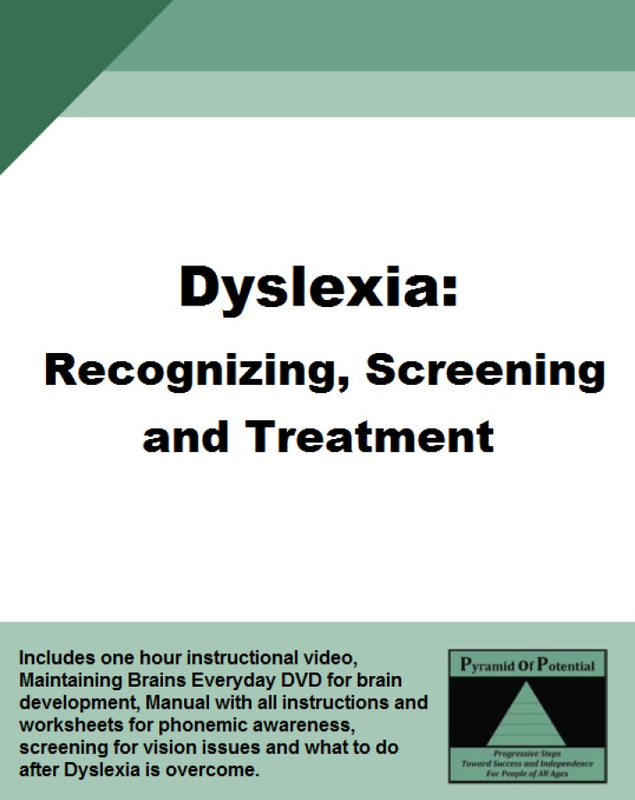 Start by watching the hour long Webinar and learning everything you will need to use the included products and treat Dyslexia. 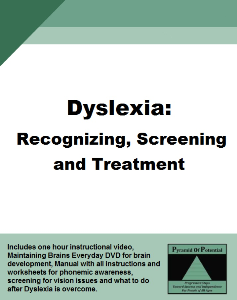 Learn the Definition of Dyslexia,learn how to screen for Dyslexia, the characteristics of Dyslexia and how to recognize it, how to treat the characteristics to be able to read anything plus additonal information and testimonials. Test for double vision and see if color overlays are helpful. Jump into primitive reflex integration with Maintaining Brains Everyday and be ready for the Growing Brains Phonemic Awareness training. 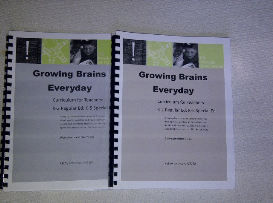 $75.00USD Coach Growing Brain... pyramid of potential inc.
$99.00USD Dyslexia Recognizin... pyramid of potential inc.
$99.00USD Growing Brains Ever... pyramid of potential inc.